The brother came back from the States to do his annual prigrimage , that is to visit the old dad and I have been busy entertaining him the last few days . Thus for the lack in blog updates :p He brought back a gift from NJ for me...guess what ? Yay! Martha Stewart 's Cupcakes , which has 175 inspired ideas for every occasions...another year of cupcakes :p Thank you , brother , for this wonderful book ! mmmmmm....lip smacking goodness all in this book ! quickly try out and share with us ya. Oooooooooo........ Pretty! I want to learn how to make them! Teach me! Teach me! Lucky you! Looking forward to more cuppies from you! Can't wait to see yor CupCake Creations! Elin! I have the exact same book! 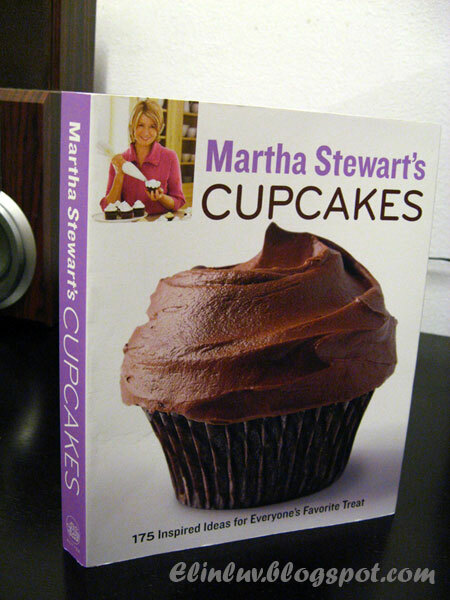 I love Martha Stewart and some of her recipes are real keepers. Enjoy the book...I'm loving mine! Wah, you also have the book ar!? Shirley of Kokken69 just made something with recipe from the book. 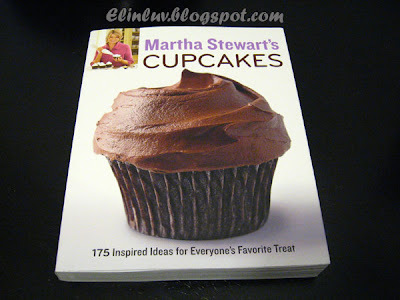 I can foresee another MS fever in the Food Blogosphere, soon ... LOL! Good to hear that your family's been keeping you busy. =) It's a good sign you know. Wow, what a perfect gift! Your favourite! hehe... See, Claire is so happy. ^_^ Hope you're enjoying your evening. Claire....hahah more cuppies coming your way....don't blame me ya if you grow sideways !!! Angie...hahaha yup another book !!! BeeBee...oh good we can exchange views then ...hahaha I will try as soon as I can.